Don’t be afraid of the dark and let this high-end futuristic Melodic Death Metal album satisfy your metallic desires. 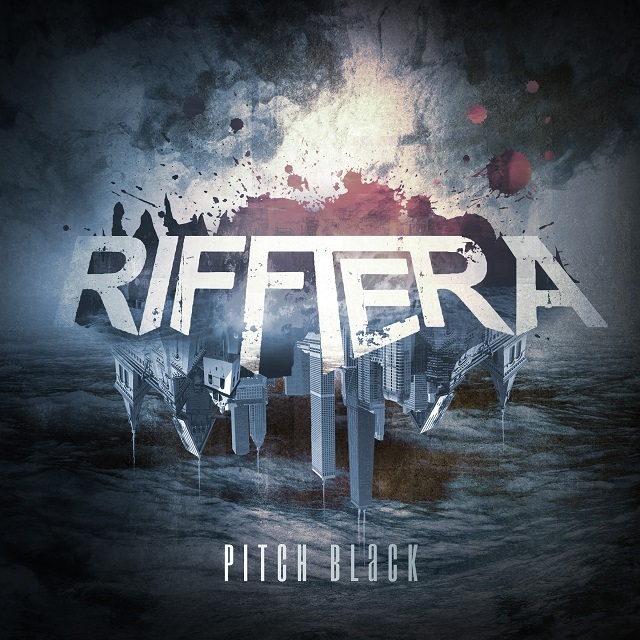 After releasing a couple of demos in the past few years, it’s time for Finnish Melodic Death Metal band Rifftera to strike the world of heavy music with their debut studio album Pitch Black, a slashing feast of metallic and melodic tunes tailored for fans of Soilwork, In Flames, Arch Enemy, Megadeth, Trivium, among many other amazing heavy bands. In other words, if you’re one of those people who believe harmony and violence should always walk hand in hand to generate good music, Pitch Black will satisfy you in every sense, keeping you entertained from start to finish. In my humble opinion, what really makes this promising band formed in 2010 in Vaasa, Finland stand out from other similar bands is the harmonious complexity of their compositions, which ends up helping the band tell the different stories within each song of the album, their evolution and consequences. For instance, although Pitch Black has only eight songs it goes on for over 54 minutes, an average of almost seven minutes per song. Not only that, I believe they wouldn’t have been able to produce an album so unique and complete without the futuristic sounding of the synths by keyboardist Antti Pöntinen, who is capable of leading the musicality even with all the heaviness of guitars, drums and harsh screams surrounding him. 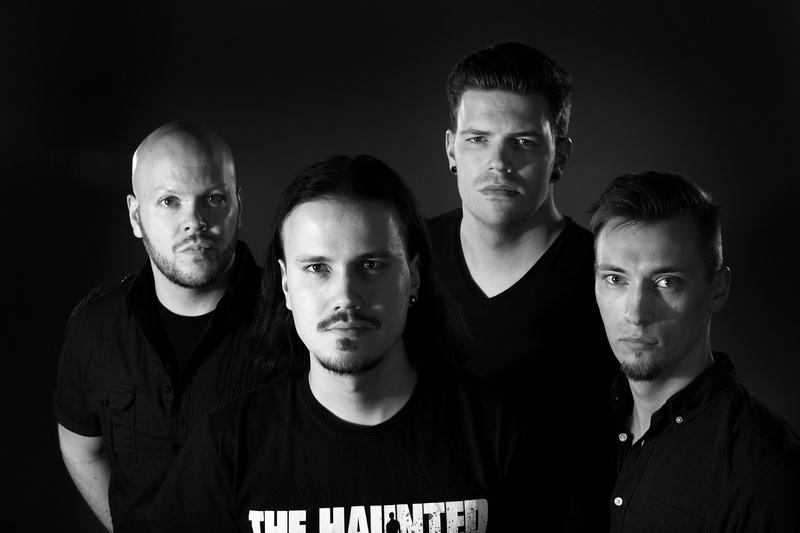 And it’s those electronic effects generated by Antti that start the party in Back To Life, a violent Melodic Death Metal song that blends the Gothenburg sound with a more modern Finnish touch. In addition, singer/guitarist Janne Hietala does an awesome job delivering sheer rage through his vocal lines, enhanced by the song’s strong riffs and catchy chorus. Then we have One Step Closer, where its synths remind me of some sounds from the classic album Turbo by Judas Priest, adding a lot of energy to the savagery brought forth by the other members of the band. However, in the faster and more brutal tune Lightbringer, synths remain in the background while the songs vicious riffs by Janne and Mikko and the nonstop drums by session drummer Thomas Tunkkari take the spotlight. It seems they love the “harsh screams during most parts of the song/clean vocals on chorus” formula, and they prove they have a very good reason for that, as this song is a pure delight for fans of Melodic Death Metal from Scandinavia. Ashes Fall is another track full of melody and anger where a solid instrumental perfect for headbanging takes over the ambience, with its second half being truly melancholic, in special its guitar riffs and solos. The only negative comment in this song is that this time the chorus is not so powerful, harming the final result a bit. On the other hand, their Thrash Metal vein arises in the superb Rotten To The Core, featuring Swedish singer Björn “Speed” Strid from Soilwork, a flawless exhibit of melodic riffs, solos and drumming with spot-on lyrics about how all politicians are always deceiving us with their greedy lies and false promises (“How would this time be any different? / Haven’t we learned before? / How would this one make any difference? / You know one / You know ’em all”). It’s impossible not to love this whirlwind of ruthless Melodic Death Metal, one of the best contemporary compositions you can find anywhere, and I believe this is the path Rifftera should take in their future releases. Fans will surely have a good time inside the circle pits when this song is played, with kudos to Janne for sounding as choleric on vocals as the musicality demands. They keep their music at a high level in Open Wounds, with Thomas contributing to its progressiveness and rage behind his drums, and pay attention to how the keyboards remain sharp and enhance the eerie atmosphere amidst the nonstop metal sounding. In the also wonderful The Ruins Of The Empire, the initial riff is so thrilling it’s hard not to play some air guitar and bang your head to it, with the sick growls by Janne during the chorus taking it to a deeper level of fury. Furthermore, there’s even time for a keyboard solo in this excellent tune, and it’s also remarkable how the professionalism and quality of the sound elevate the final result considerably. And finally, it looks like the last part of the album is dedicated to the heavier and darker side of Rifftera, which is confirmed in the title-track Pitch Black. Its acoustic intro sets the tone for their most epic creation, flirting with Symphonic Black Metal so obscure and heavy it gets, with some moments reminding me a little of the guitar duos from the epic songs by Iron Maiden. It’s a sonic exhibit of wickedness and despair, almost a metal opera with imposing synths and orchestrations leading the music to a climatic ending. In summary, if Melodic Death Metal is what you love the most in life, don’t be afraid of the dark and go check Rifftera’s Facebook page and YouTube channel, and buy your copy of Pitch Black at Record Shop X or Inverse Store, you won’t regret that at all. These talented Finnish metallers put their hearts and souls into the making of this high-end futuristic album, something you can feel in each and every song, turning it into a must-have item in your collection of melodic and angry tunes. Best moments of the album: Lightbringer, Rotten To The Core and The Ruins Of The Empire. Worst moments of the album: Ashes Fall. This entry was posted in 2015 New Releases and tagged antti pöntinen, björn “speed” strid, finland, janne hietala, jupe karhu, lightbringer, melodic death metal, mikko kuoppamaa, pitch black, rifftera, rotten to the core, scandinavia, soilwork, symphonic black metal, the ruins of the empire, thomas tunkkari, thrash metal, vaasa by Gustavo Scuderi. Bookmark the permalink.